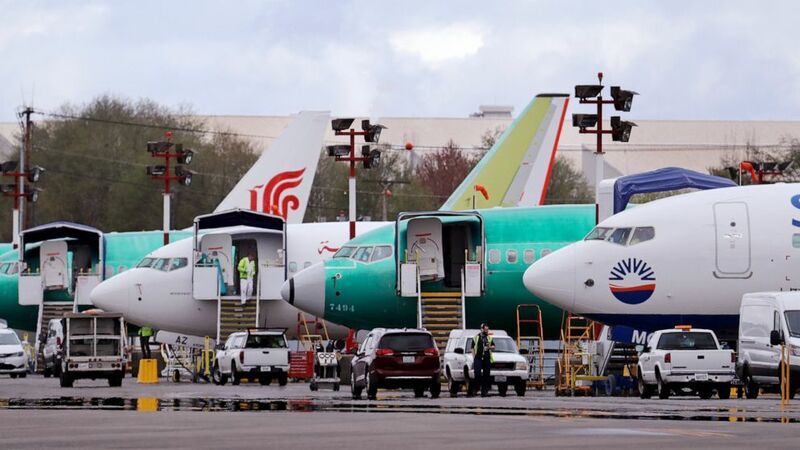 A group of technical experts appointed by federal aviation regulators says pilots wont need new training on flight simulators to learn how to operate the Boeing plane that was grounded after two deadly crashes involving a new anti-stall system. Boeing is working on a software fix to the planes anti-stall system, known by its acronym, MCAS. In both an October crash off the coast of Indonesia and a March crash in Ethiopia, a faulty sensor reading triggered MCAS and pushed the planes nose down, and pilots were unable to recover. In all, 346 people died in the two crashes. Pilots at U.S. airlines complained that they didnt even know about MCAS until after the October crash. After that, they received computer training that described the system and how to respond when something goes wrong with it. The Max has been grounded around the world since mid-March. Many analysts think it will likely be July or August before the FAA allows it to fly again, and longer in other countries. If the board had recommended training on simulators — or FAA decides to require that anyway — it could further delay the planes return. Directors at Chicago-based Boeing oppose the resolution, saying they should be free to pick the CEO. They say that at various times the Boeing chairmans job has been performed by an independent director, the CEO or a former CEO. Shares of Boeing Co. rose 6.26, or 1.7, to close Tuesday at 381.72.